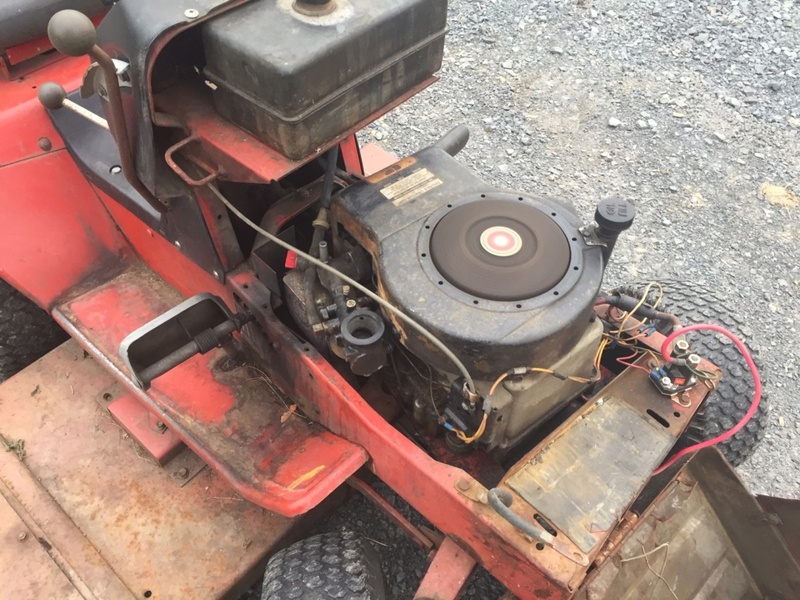 took this in partial trade for the murray I was selling....pretty neat little 8hp briggs, all steel. 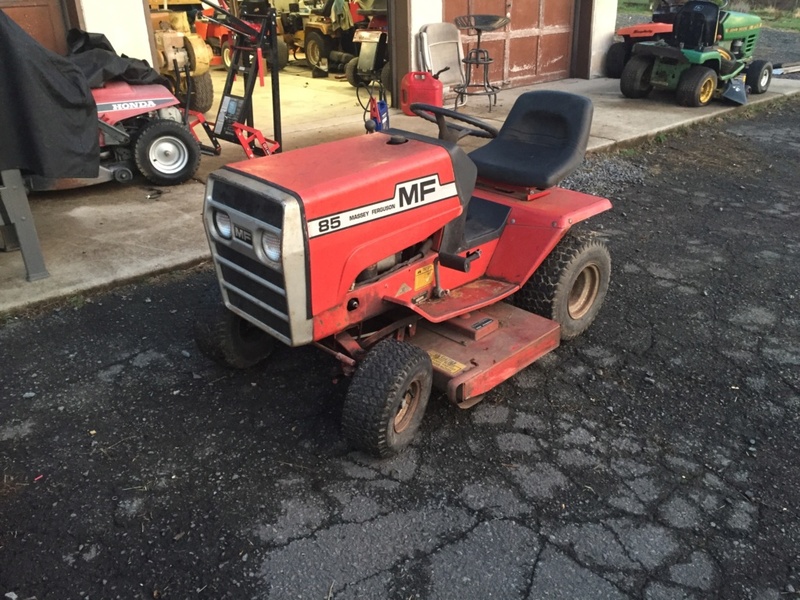 yes, it needs carb work though, battery is in a incorrect location, & has a really stupid seat from another tractor, but other than that seems ok. Might be able to put a battery in it, sell it for 200 bucks or something, they don't seem to be valuable or desirable really. Has a cool feature where the engine is kind of floating on a mounting plate that allows movement left to right I guess to minimize vibration, will get it cutting and see what happens. Yeah I noticed that seat. It came off a murray. I don't see why people wouldn't want them. I don't remember ever seeing one before. I think it's a cool tractor, but for some reason I like old motorized things that people don't really care about lol. $200 seems like a pretty low price for a MF. 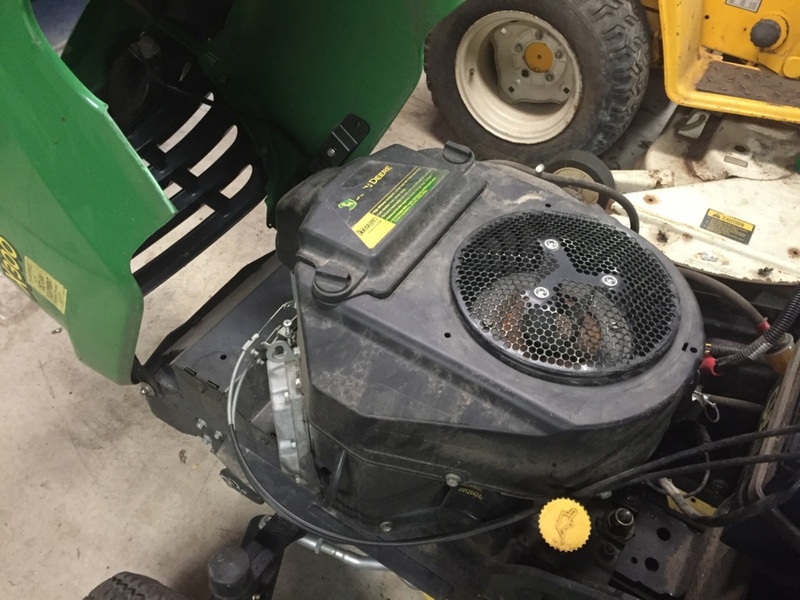 Are you pricing it based on the 8 HP? 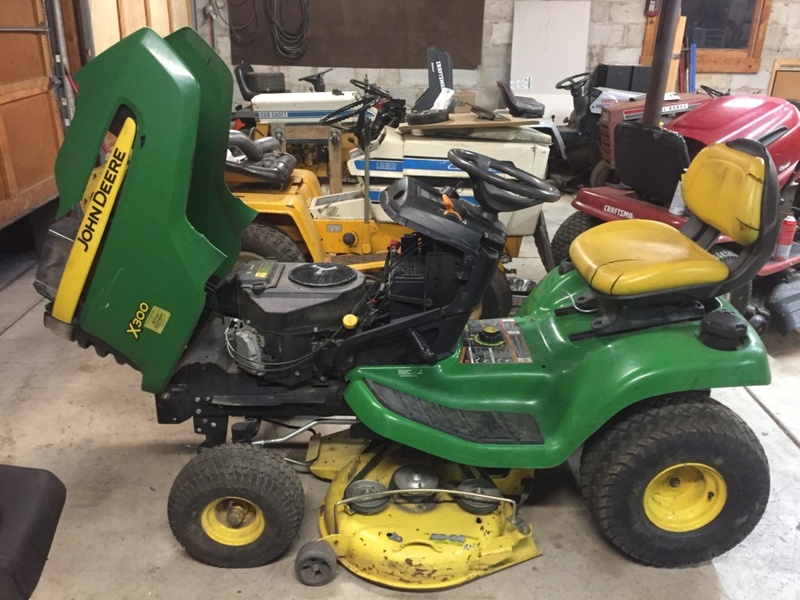 check this out, john deere X300, my neighbor dropped it off and said fix it, I got it to run good, but the hydro is trash and the PTO doesnt work.... so Im gonna part it out... I cannot find the serial number on the motor it is a briggs 18.5 itorque V-twin. So what year is it? I think that is a Kawasaki engine rather than a Briggs. Not sure where they put the ID numbers on those.... I would think it'd be stamped into one of the tappet covers but maybe not. 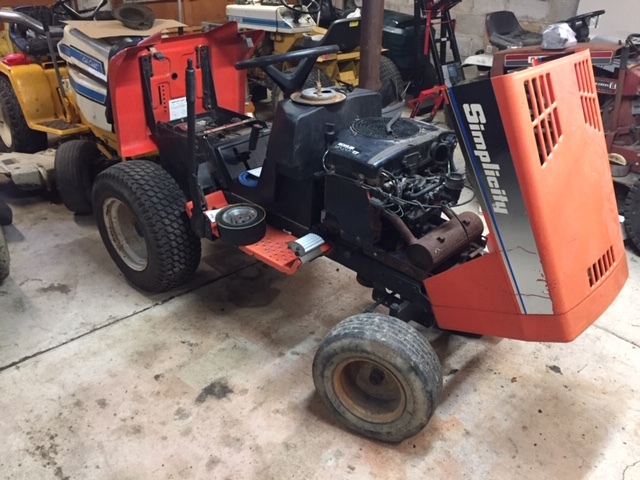 So depending on your area, the overall condition of the tractor, and if it has the small 30" cutting deck, I think you might be able to squeeze $300 out of it. I know I could in my area. 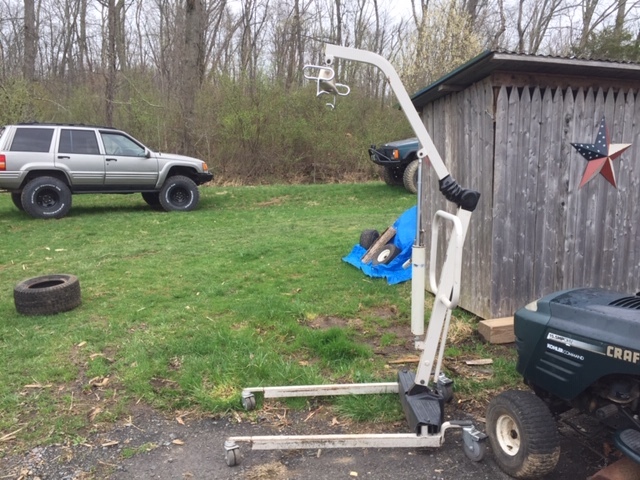 Try to get an old school guy who just can't stand to use new equipment or a MF collector or someone like that and you may be able to get a little more for it. well I cleaned the carb out on it, had to just drop the bowl, I couldnt get it off the tractor without removing exhaust and the exhaust was blocked by the frame. 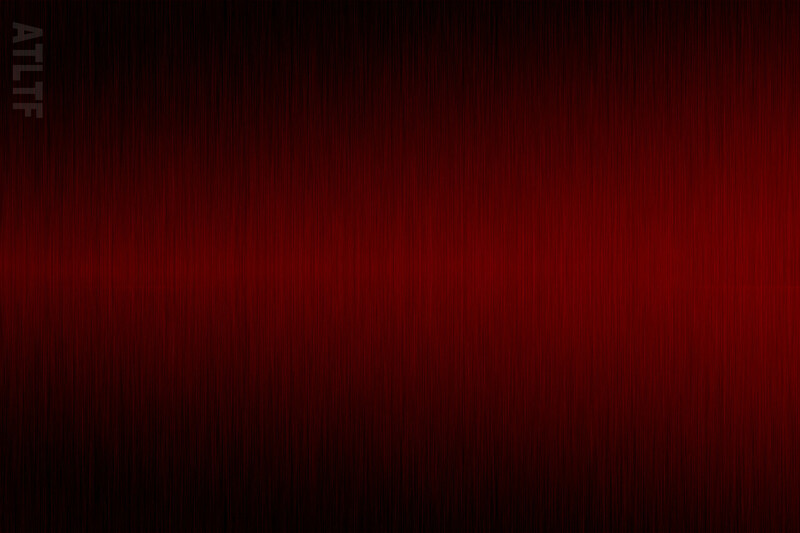 So I did the best I could while on the machine. Drove it around and it does pretty good, sputters and blips like other old motors I have had. Blades came on, would work as an occasional use machine or just to have. Make a cool mud mower too, more beefy than a craftsman. @mrshaft696 Is that an all plastic dip stick on the JD X300? 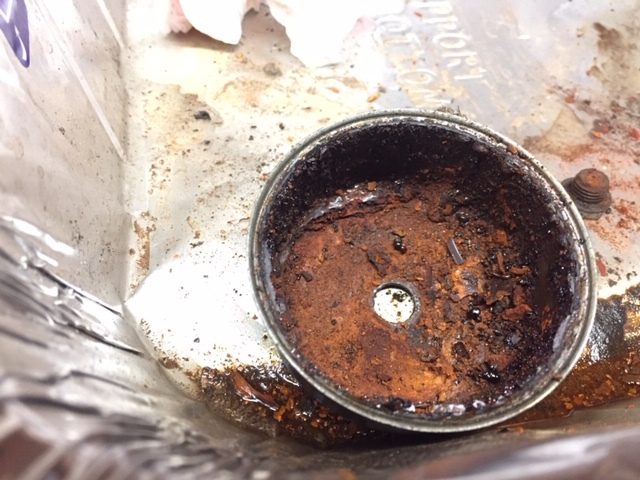 Does it have writing on the part that goes inside the dipstick tube that says something like "do not screw in to check oil level?" That would indicate to me a Kawasaki. I think so, Ill have to check tonight, I think I will have the whole thing sold tomorrow for 250, all I did was replace a fuse in the fuse box. My neighbor found it on the side of the road, with a "free" sign on it. If you mean how it's mounted backwards, then yes, it is original. yeah its kind of silly, the exhaust is right on your right foot, so it a hot ride. Not sure, but it looks like an engine hoist. Looks like maybe a patient lift from a hospital. Sounds like a neat idea! Even if it needed a little bracing I'm sure it wouldn't be hard to add a gusset or two in a couple spots. Tow truck you say, hmm... how about a Massey Ferguson tow tractor? Yeah that bowls done ! 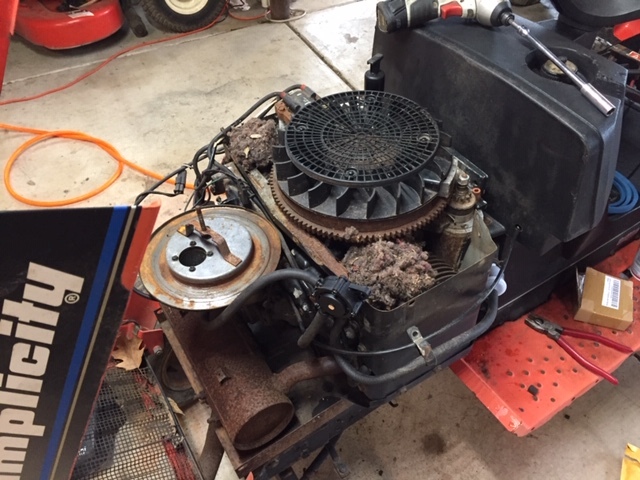 i was wanting to find me one of those lifts to remove and install engines on mowers as i already have a lot of back problems. 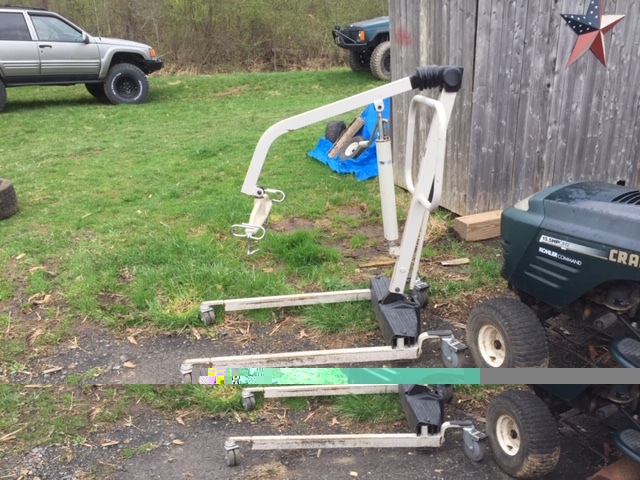 i've got an automotive engine lift but it's a pain to get out and takes up a lot of room which i never have enough of. picking up some cool stuff tonight hopefully, supposed to be getting a OLD GT and a big kohler PRO.